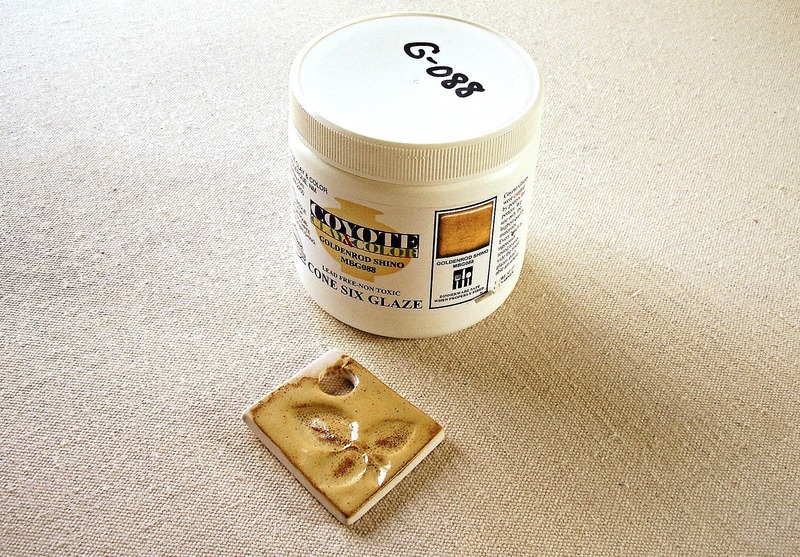 Coyote Glaze Test – part one! 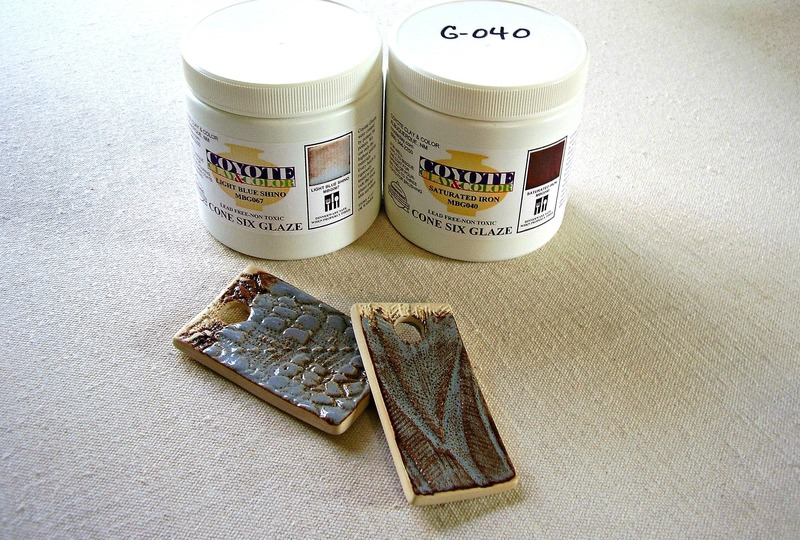 Glaze testing with Coyote Glazes! 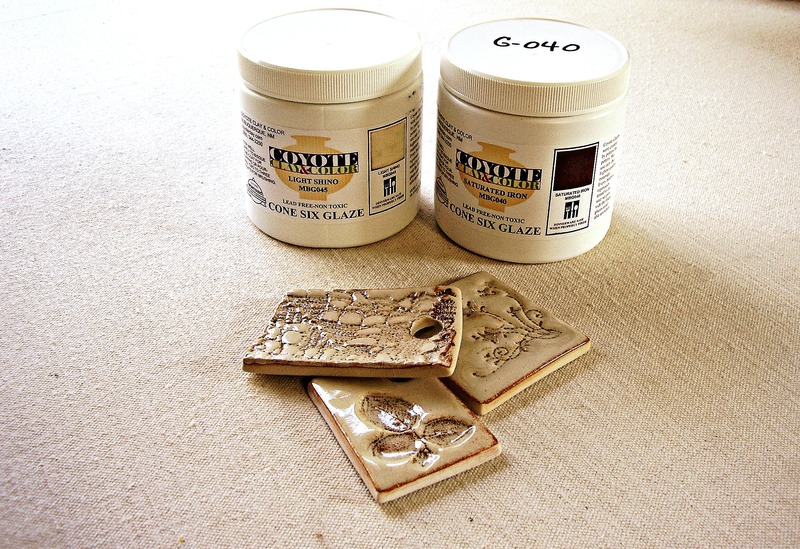 These test tiles were textured with a piece of Portuguese Lace…made by my husbands grandmother. I brushed on one coat of Saturated Iron, using a fan brush. Then washed it off with my sponge…leaving the Saturated Iron only in the cracks and crevices. Then I brushed on two coats of Light Shino, on the test tile on the right, and Light Blue Shino, on the test tile on the left. Now I’ll have to try two coats of Saturated Iron and see what happens. 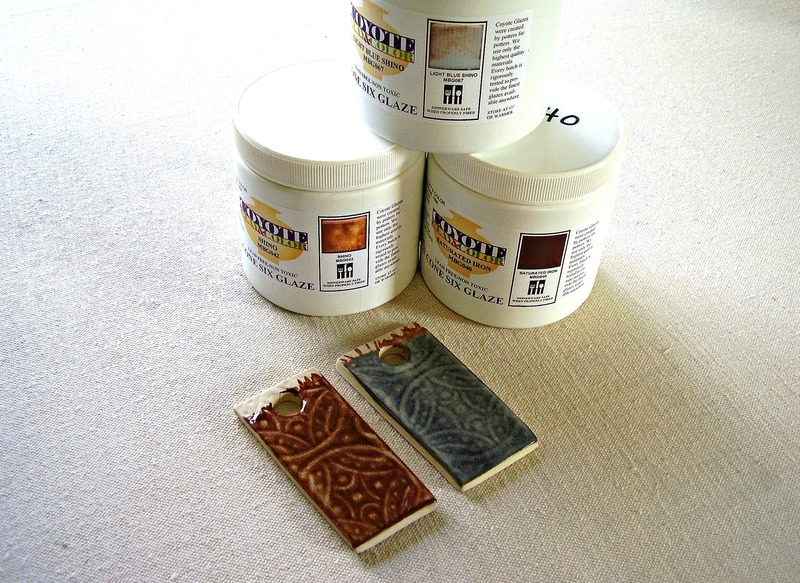 The test tile on the right, is the same texture that I use on my Backwater Bay Collection. I really like how this came out! 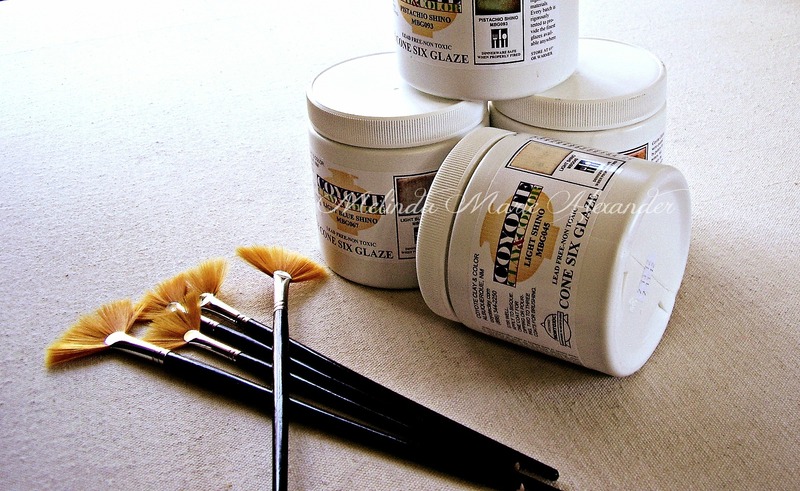 I used the same combination of glazes, one coat Saturated Iron, and two coats Light Blue Shino. I can’t wait to use this on my plates! 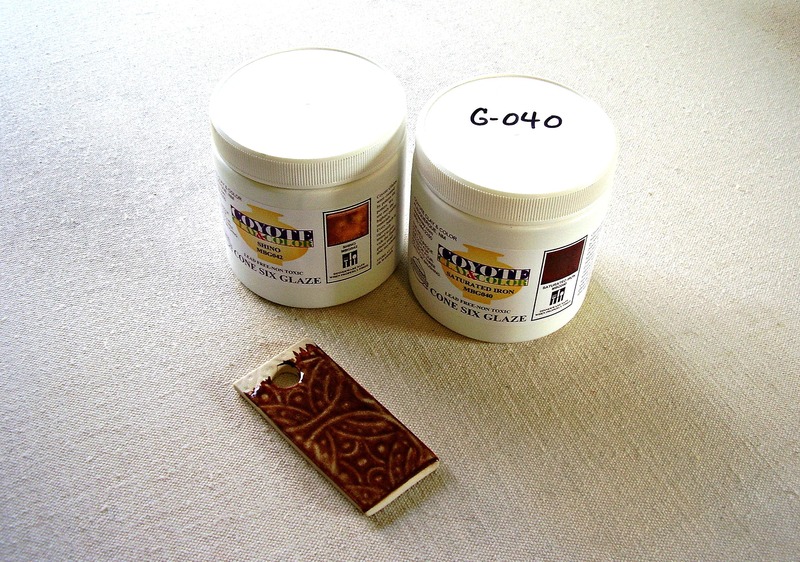 These test tiles have the same glaze combination, one coat Saturated Iron, and two coats Light Blue Shino. But look how different they look. The texture on the test tile on the left is not very deep, but you can still it, the brown doesn’t break through like the other test tiles, but I like it! The other test tile is just plain. I think it looks like Stonewashed Denim. I need to try this on something larger. 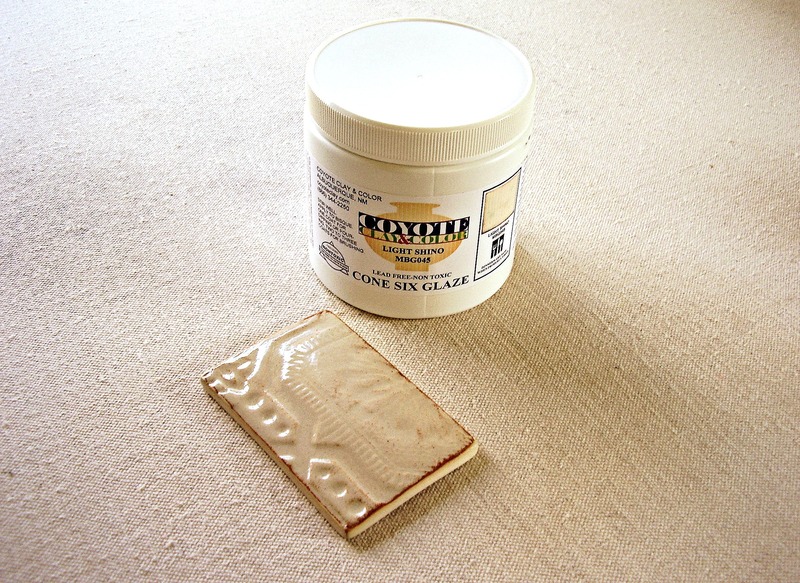 This test tile has two coats of Light Blue Shino. You can see the texture, but I think it would have showed up better with Saturated Iron under it. 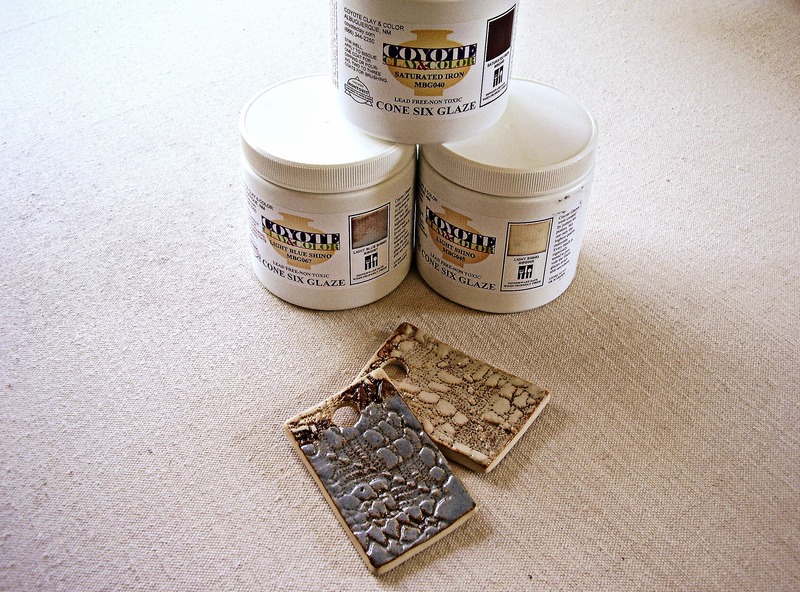 This test tile was textured with the same texture I use on my Vintage Cottage Collection. It has two coats of Light Shino brushed on with a fan brush. You can see the texture through the glaze, but I think if I had put a coat of Saturated Iron underneath, the texture would be more prominent. 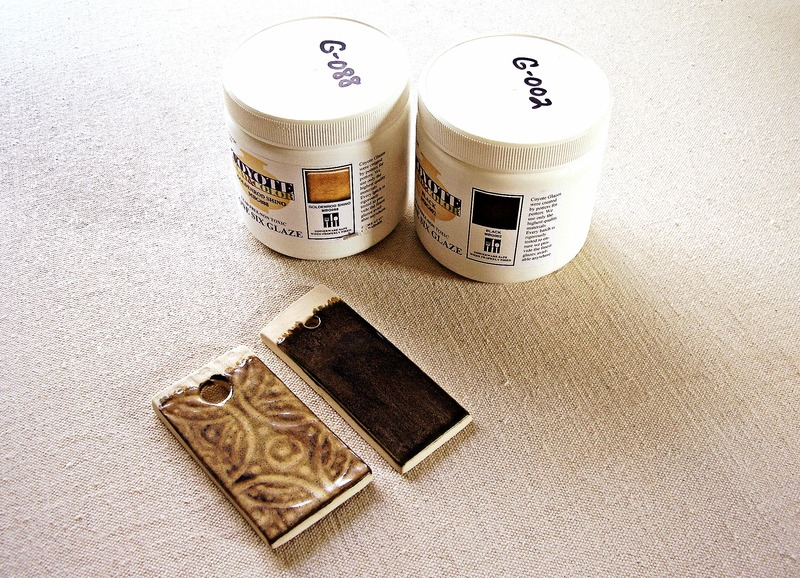 These test tiles have one coat of Saturated Iron under two coats of Light Shino. I think the leaves might need two coats of Saturated Iron. 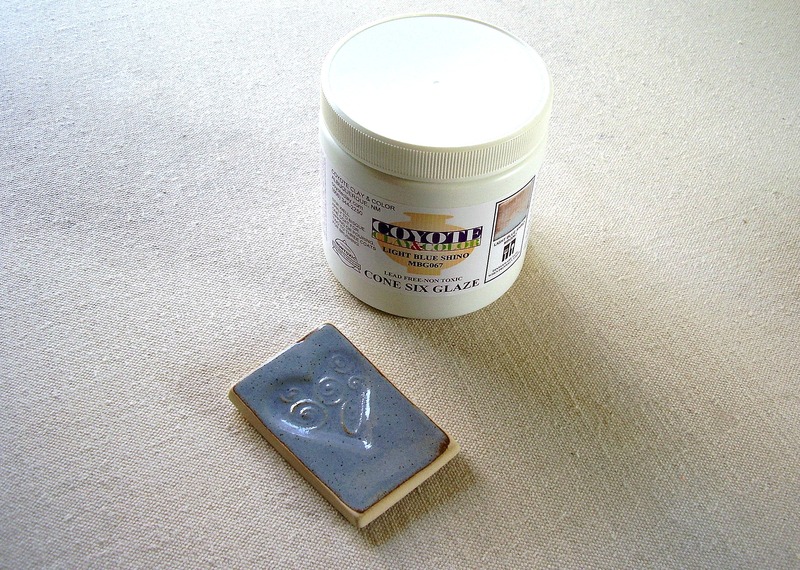 This test tile has one coat of Saturated Iron under two coats of Shino. I’m not sure what it would look like with a deeper texture? I’ll have to do more testing. 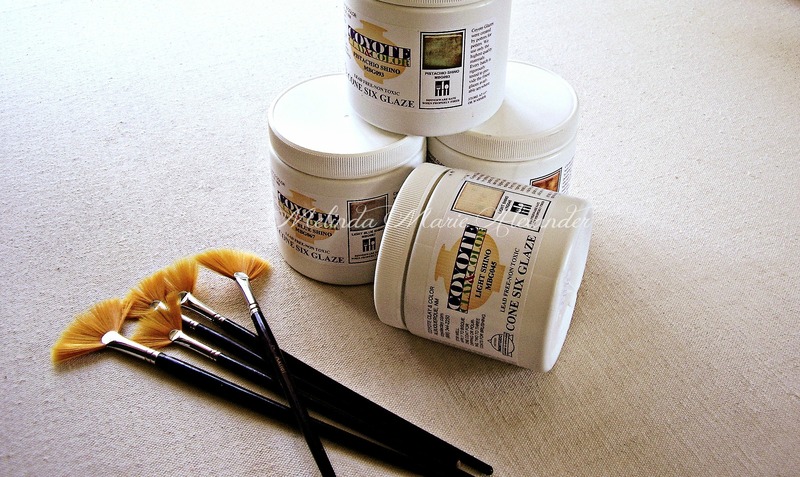 This one has one coat of Saturated Iron…only on the leaves, and two coats of Goldenrod. I think two coats of Saturated Iron would be better. I’ll have to try it. 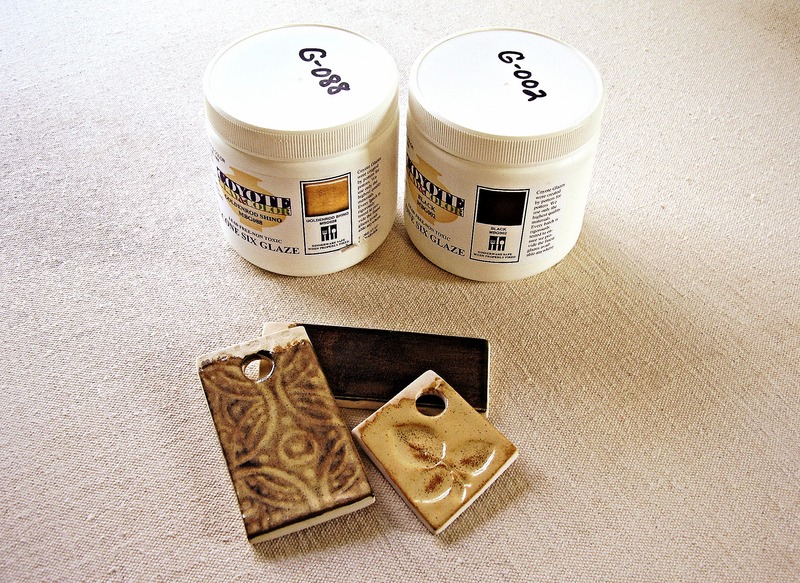 The test tile on the left has one coat of Coyote Black, and two coats of Goldenrod. It’s very interesting! Need to test more. 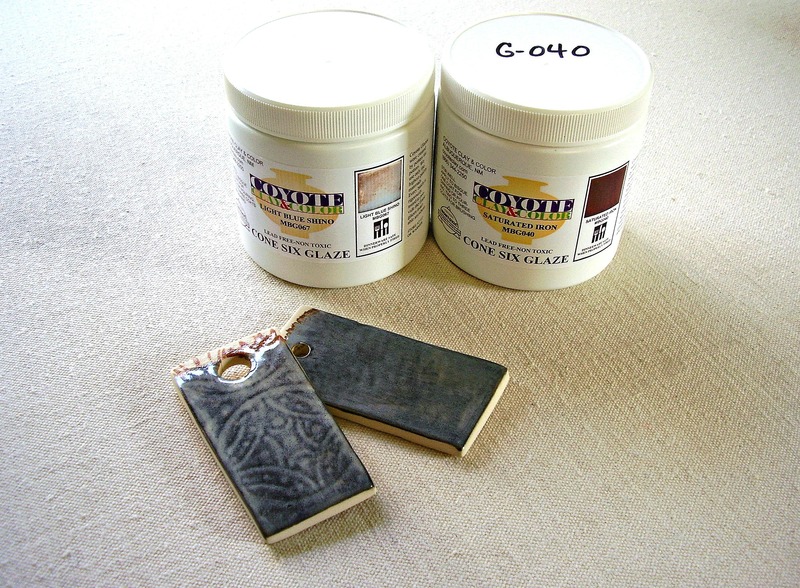 The test tile on the right has one coat of Coyote Black and two coats of Red Gold, needs more testing. Next time I’ll show you what some of these look like on some pottery. This entry was posted in Uncategorized and tagged art studio, artist, artist workshop, ceramics, clay, color, coyote glaze testing, coyote glazes, designer, Etsy, facebook, fine art photography, glaze testing, glazes, handmade, handmade plates, Melinda Marie Alexander, photography, photos, pinterest, potter, pottery, Raven Hill Pottery, ravenhillpottery.etsy.com, texture, twitter, wordpress, workshop by ravenhillpottery. Bookmark the permalink. Do they do low-fire glazes as well? (Cone 05-06)? Awesome colors and texture!! Would make an outstanding compliment to a ceramic flute!! Thanks Jim! Yeah, which color do you like best?